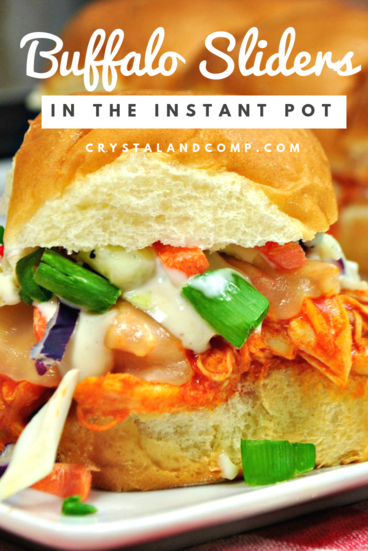 Instant Pot recipes are a great way to make dinner fast and easy. 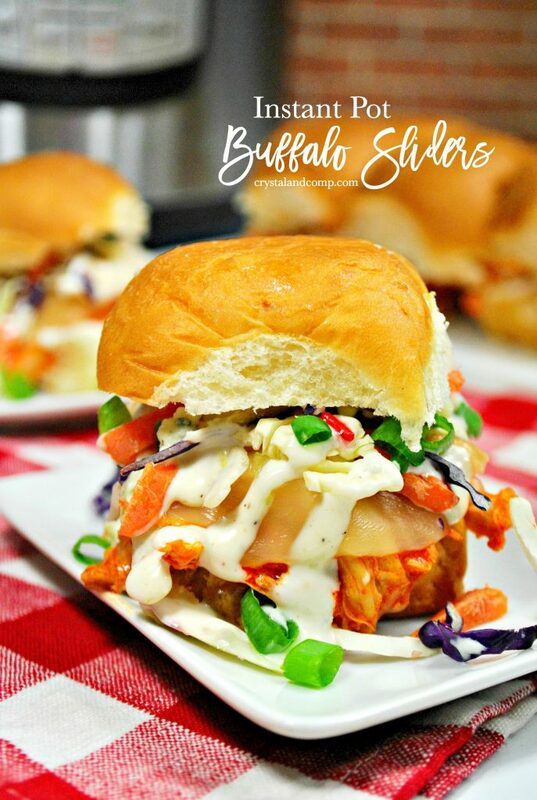 These Buffalo Chicken Sliders are perfect for a quick weeknight dinner or when you’re hosting a crowd at home. You won’t believe how easy they are to make and they taste better than take out! Sliders are so easy and super versatile. My boys love them! Let me show you how to make them. First, gather up everything you’re going to need. First, add the raw chicken breasts to the Instant Pot. 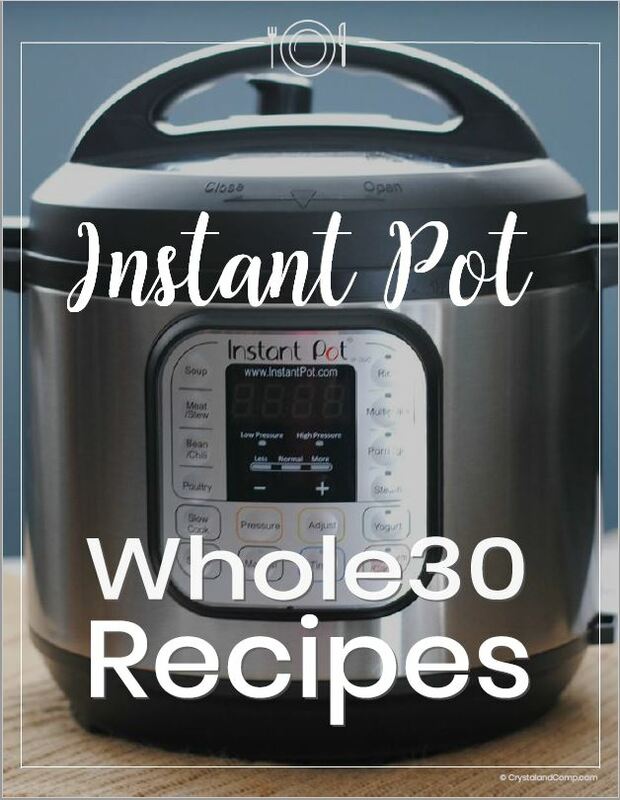 This is the Instant Pot that I use. Add the small butter pieces to the top of the chicken breasts. Sprinkle evenly with the dry ranch seasoning packet. Evenly add the diced garlic over the breasts. Pour in the broth. Put on the Instant Pot lid and turn to seal. Set it for manual for 15 minutes. Once it is done cooking, let the pressure release naturally. When all of the pressure is released, open the lid. Grab two forks and shred the chicken. If there is any access liquid in the pot, drain it. Add your buffalo sauce to the chicken and stir to combine evenly. To assemble sandwiches, separate the tops of the rolls from the bottom. Cover the bottom of the pan with the bottoms of the sandwiches. Add shredded chicken and cheese. Broil for 2 minutes to melt the cheese. Do not over broil. Next add the coleslaw, ranch dressing and then green onions. Top with the tops of the rolls. First, add the raw chicken breasts to the Instant Pot. Yum. I want! Thanks for sharing at the To Grandma’s House We Go DIY, Crafts, Recipes and More link party. I pinned this. Hope to see you again next week. 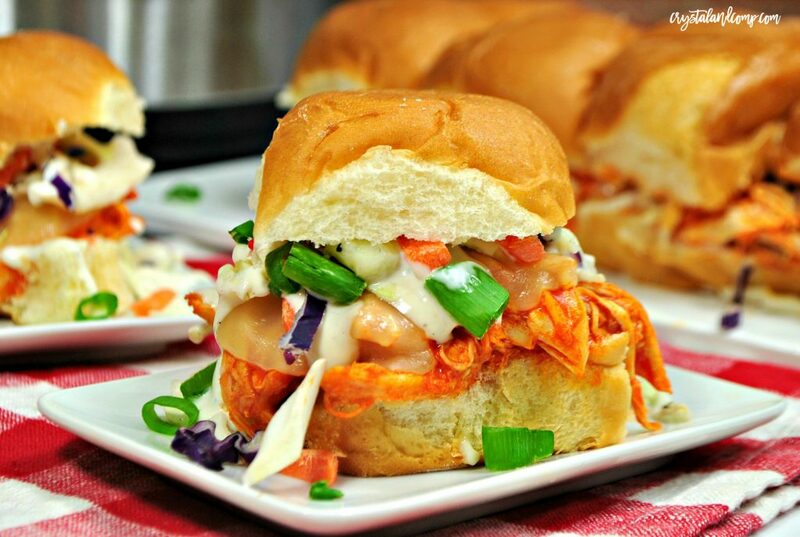 Your Buffalo Chicken Sliders will sure be a big hit at the big games! Thanks so much for sharing with us at Full Plate Thursday, your post is awesome. Hope you are having a great week and come back to see us soon! Sounds amazing Crystal. Thank you for sharing at Create, Bake, Grow & Gather this week. I’m delighted to be sharing this recipe at tonight’s party. Congratulations on the much deserved feature at Waste Not Wednesday. I wish that I had one of these sandwiches right now!